In the last episode we left off with Dae-gu debating whether he should save Hyung-chul or not. And he does! He somehow saves Hyung-chul from the grasps of the hitman and guess what? Hyung-chul turns on him (of course). Hyung-chul pulls out a gun and aims it at Dae-gu. Dae-gu stares at him for a while and suddenly leaps forward. 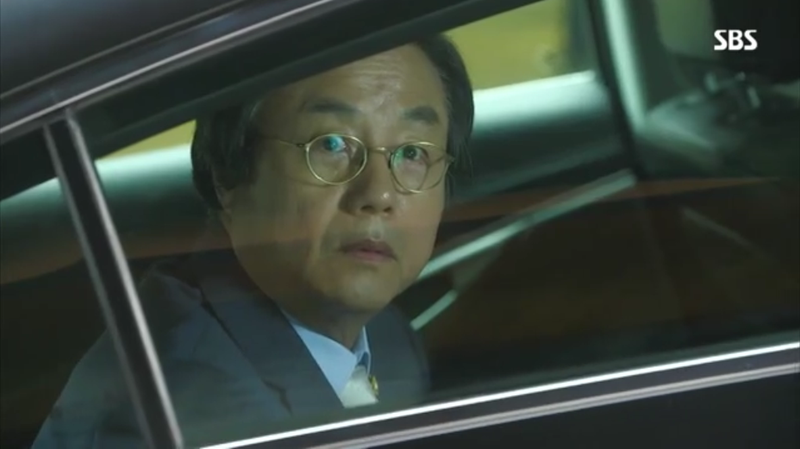 We cut to a scene with Pan-seok and Soo-sun driving in the same car garage. Through flashback we learn that Dae-gu has taken a gun out of the safe so he is armed and dangerous. When Pan-seok and Soo-sun find Dae-gu, he is lying on the ground. The camera pans out and we see both Hyung-chul and Dae-gu are on the ground, seemingly tired after a fight. They rush to Dae-gu’s side, and Pan-seok is about to attack Hyung-chul but is held back by Dae-gu. Dae-gu goes to Hyung-chul and takes out handcuffs to cuff the culprit! Pan-seok picks up the gun Dae-gu dropped on the ground and unlock it to find there were no bullets in it at all. Dae-gu explains that he wasn’t sure what he would do if there were bullets so he purposely didn’t bring any because he knew he did not want to turn out like Hyung-chul. Awww our Dae-gu has grown up! The police station welcomes back everyone with wild applause, and Dae-gu’s story makes the newspaper. Assemblyman Yoo reads it and is visibly upset. What will he plan next? Back in the office, Tae-il and Gook are helping to bandage up Dae-gu. Everyone asks him to go home to rest, but he insists on interrogating Hyung-chul himself. 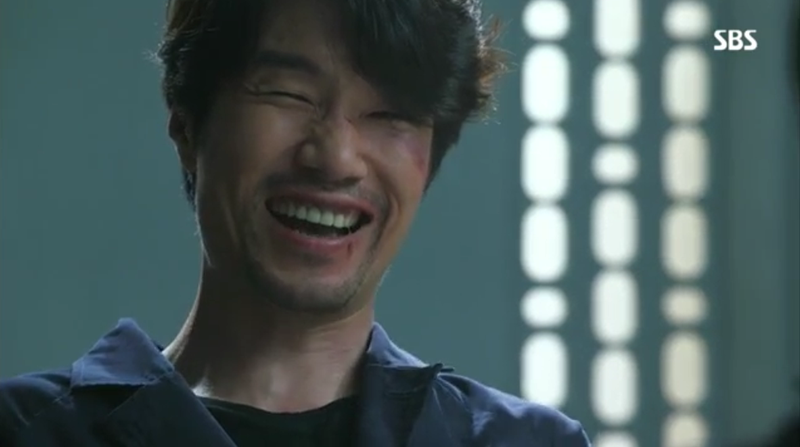 In order to appease him, Pan-seok agrees to hold off the interrogation until the next day. Chief Kang visits Hyung-chul in the jail cell and tells him to keep him mouth shut if he wants to live. Hyung-chul is very upset that they sent a killer after him, so he did not promise her anything. She threatens him some more and insists that he blames the whole case on the dead CEO. Back at the apartment, the four recruits are chatting together like everything is better. Dae-gu decides he wants to eat ramen and Soo-sun makes some for him. Gook tease him about being the youngest, and Tae-il tells him to behave like one and go get some food from the fridge. Dae-gu pauses for a second and actually gets up to go get the food per request! He eats some more ramen and then suddenly decides that it is not fair to be all formal now after they have been casual this whole time. Everybody laughs. Dae-gu also sneaks a couple of looks at Soo-sun so we totally sense some romance in the air. 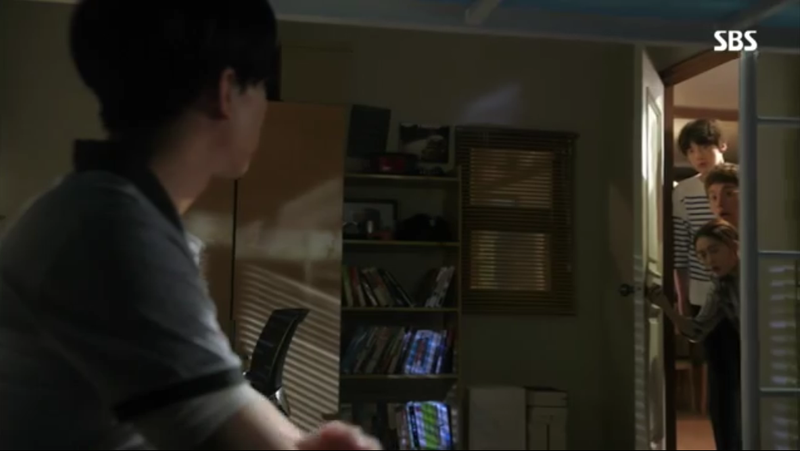 The next day Chief Kang watches as Dae-gu interrogates Hyung-chul. Dae-gu remembers back to 11 years ago and deduces that there were two intruders to his house that day – the first dropped the pendant and the second is Hyung-chul. He goes on to say that his mother was hit with a vase by the first intruder, and Hyung-chul is the one who choked his mother to death, and that Hyung-chul came to his house to find the pendant per the instructions of the first intruder. Dae-gu inquires if Pan-seok is the one who gave the pendant away, but Hyung-chul replies no, which makes Chief Kang really nervous. After pressing on some more, Hyung-chul confesses that it was the CEO who dropped the pendant, and he is coming after Dae-gu now because no one else involved is alive anymore, and if Dae-gu dies it becomes the perfect crime. Dae-gu asks one more time who Detective Seo (the one Hyung-chul talked to on the phone 11 years ago) is if it’s not Pan-seok, but Hyung-chul does not answer. What Hyung-chul does tell Dae-gu is that trust will breed treachery and that he should not trust people too much. doesn’t the back of that head look like chief kang?? After everyone leaves, Pan-seok comes in to speak to Hyung-chul. Hyung-chul still does not give any additional information, but takes out an old photo of the two of them together. He gives the photo to Pan-seok as a souvenir and says that he likes this photo because it is a reminder that he once was a human. Argh, I don’t even know how to feel at this point about this guy. The complexity of his character is unreal!! is he hinting at something through the picture??? The scene changes to Assemblyman Yoo’s office. His secretary brings him information about Dae-gu, and on the documents Chief Kang is listed as a sponsor. Dung dung dunggggggg!!! and… the relationship does not get better…. They arrive at Masan and Soo-sun is given a binder of personnel files to look through. She finds the detective she met with 11 years ago, but he has become a businessman and is in Brazil to sell clothes for 2 or 3 months. Meanwhile in Gangnam, Assemblyman Yoo has arrived to meet with Chief Kang. She plays innocent, and he declares that she must be responsible for getting rid of Dae-gu herself. Chief Kang agrees, but says she will have control over when she would take action. Pan-seok visits his son’s grave (which is a tree…) and puts a blue robot underneath. The same day, Dae-gu goes to see his mom as well, and to tell her he has captured the culprit. On his way back from the visit, he bumps into Soo-sun who just came out a convenience store. He tells her that he went to see his mom (awww) and oh, he saves her from getting hit by a motorbike (double awww), which turns into a hug (triple awwwww). From one cute moment to another! Sa-kyung reprimands Pan-seok for not remembering her birthday (light slap). The day after, Pan-seok bumps into Soo-sun while riding bikes and the two share a light lunch together. Pan-seok asks why Soo-sun does not come out with Dae-gu and she asks why would she. Pan-seok gets confused and inquires if they are dating, and Soo-sun vehemently denies it. Pan-seok wants to ask the reason for their kiss a couple of episodes back, but could not speak the words. Soo-sun’s mom comes to visit again, and surprisingly enough, Dae-gu decides that it is ok to let her mom stay in the apartment. While in the bathroom of a mall, Soo-sun’s mom takes the an expensive bag instead of her own. Once she’s out of the bathroom a baby carriage runs over the bag and effectively ruins it. The owner of the expensive bag asks the mom to pay, and of course, she does not have the money to do so. Therefore instead of that, the rich lady beats up the mom and it ends up becoming a viral video. The team sees it and finds out that the rich lady is the wife of a corporation CEO. Dae-gu heads over to talk to this woman and Asseblyman Yoo arrives. man, that deer in the headlight look! What will happen next? Only five more days till we find out! !